If you wish to raise your fist in the air and curse anyone for the massive global Skype outage, direct your anger towards 5.0.0.152. That's the Skype for Windows version that crashed when a December 22nd cluster of support servers responsible for offline messaging became overloaded. While that's the only version affected -- the latest 5.0.0.156 and 4.0 versions were fine, as were the clients for every other platform you can think of -- the number of users running point-152 globally represent 50 percent of all the users. More importantly for the other half of the world, about 25 to 30 percent of all supernodes were affected, too, whose role is establish connections, among others. So... up to 30 percent of supernodes are down worldwide. The other 70 percent were taking on the increased load. The crashed Windows clients were by and large being restarted simultaneously by affected users. All this happened just before the usual daily peak hours and during the holiday season. It's almost a comedy of errors, were it not impossible at the time to call someone and share in the laughter. 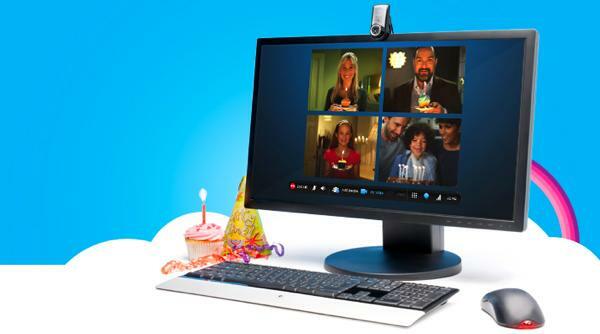 For its part, Skype goes into detail over how it fixed the current situation and how it plans to be better equipped to handle any future duress. It's a pretty interesting read, we suggest you set some time aside and check it out. Skype outage post-mortem puts some blame on the elder Windows clients originally appeared on Engadget on Wed, 29 Dec 2010 11:18:00 EDT. Please see our terms for use of feeds.